Who will hire cabin crew in 2017? A huge number of major and regional carriers have already announced plans to hire significantly more cabin crew in 2017. This is evidence of how quickly the aviation industry is growing. However, it may present a challenge for HR staff who are required to compete for a limited number of skilled staff throughout the year. Read on to find out who’s hiring in 2017. Which airlines will hire cabin crew in 2017? German giant Lufthansa announced plans to hire 3,000 staff earlier in January, the majority of whom will be cabin crew. New cabin crew will be allocated roles in one of the company’s various carriers, with 1,400 earmarked for Frankfurt and Munich alone. Irish low-cost carrier Ryanair will look to hire 2,000 new cabin crew in 2017 as part of its ongoing growth strategy, which is hoped will increase passenger numbers to 200m pa by 2024. Ryanair is looking for candidates with any amount of experience to fill positions at aviation hubs across Europe. Low-cost carrier Jet2.com — recently voted the UK’s ‘Best Airline’ at The Graftas — looks set to add 700 new cabin crew to its roster in 2017. This is part of a wider recruitment drive, which is hoped will also bring in 180 new pilots and 80 engineers. As part of the carrier’s expansion at Edinburgh airport, Norwegian has announced plans to hire 100 new Scotland-based cabin crew. The third largest low-cost carrier in Europe also hopes to take on 30 new pilots to work across six major European routes, from Edinburgh to Copenhagen, Oslo, Stockholm, Barcelona, Tenerife and Malaga. Cebu Pacific — the largest carrier in the Philippines — will look to add 300 new cabin crew to its 4,000-strong workforce in 2017, building on company growth seen in 2015 and 2016. Irish regional carrier CityJet intends to open a new crew base in Brussels, and is seeking an undisclosed number of new cabin crew and pilots. 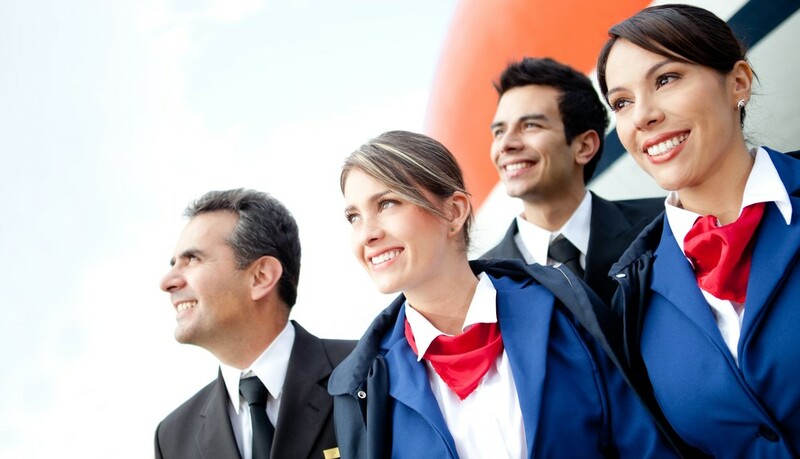 What does the rush of cabin crew mean for the aviation industry? Experienced, high-quality cabin crew members are in high demand, but what does this tell us about the industry as a whole? The good news is that these figures show the industry is growing at pace. It’s too early to put a concrete figure on last year’s total aviation industry growth. But, a mid-year report indicated that 2016 would be the industry’s most profitable year ever, with global profits up 12% on 2015. The not quite so good news is that this is going to make the employment landscape even more competitive. Carriers will have to battle it out for the limited number of skilled cabin crew currently available. You will need to do more with your employer brand and recruitment strategy to reach your hiring goals in 2017. All this should tell you that airlines need a finely tuned growth strategy and capacity to expand if they’re to stay competitive in 2017. Call on AeroProfessional and find out how we can help you hire cabin crew with all the right skills within a minimal timeframe.